Along with the development of Street Art as a discipline and a state of mind, many different styles emerged and started changing the way people respond to it. 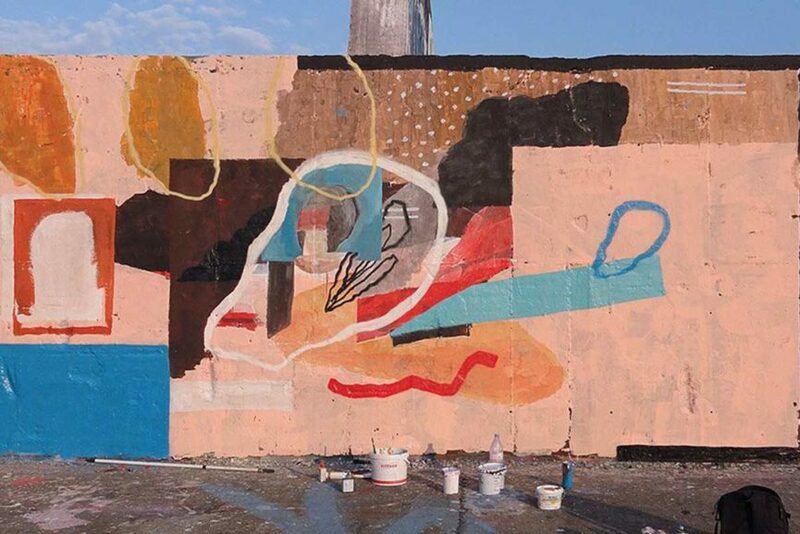 In the light of the age of interdisciplinary connections, many young artists shift between Street Art and other types of performance. 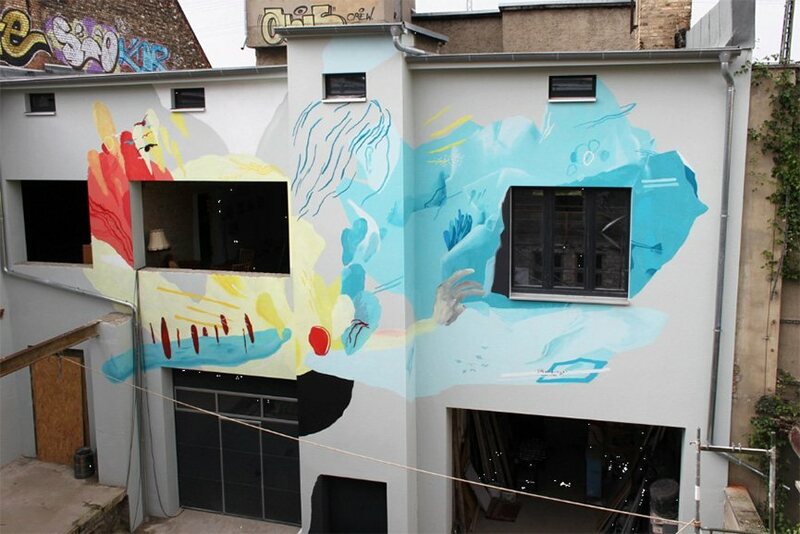 One of them is Johannes Mundinger, Urban Spree’s resident artist, based in Berlin. 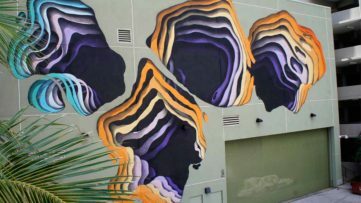 He is certainly responsible for changing the way murals affect the environment, and relieving the public of misconceptions about Street Art as such. Street Art doesn’t only have to be a rebellious, disobedient act. Today, we witness how street and urban artists express themselves through diverse types of visual language. And just when you think that there’s nothing left in the world of creativity, something completely new comes your way. 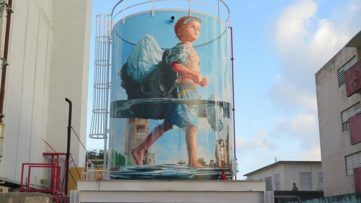 Mundinger’s paintings and murals are perhaps somehow situated at the edge of street art, neither completely confusing, nor direct. Still, even though it is hard to accurately define it, you can always recognize his style. It is strange, and it is familiar, and kind of even friendly at the same time. The interlacing elements somehow complement each other, in a way that makes the audience identify with the possible meanings or traces of figuration. And yet, his works are dissolved to a point where you realize that you can actually never be sure what you’re really seeing. 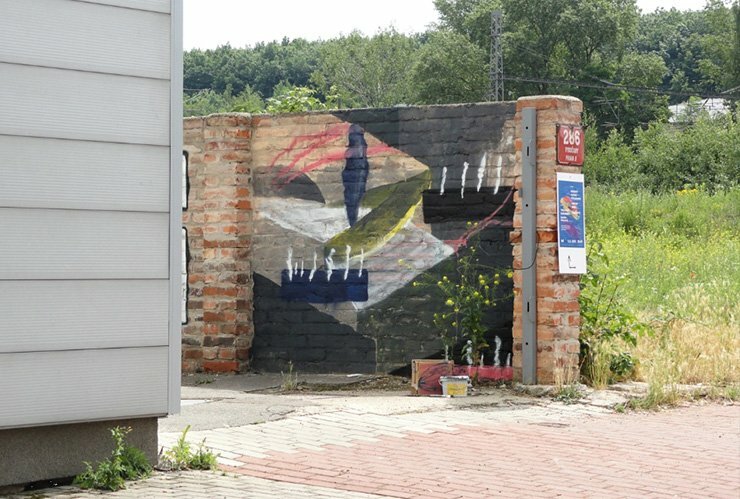 If collage seems to you like an odd technique when it comes to Street Art – think again. 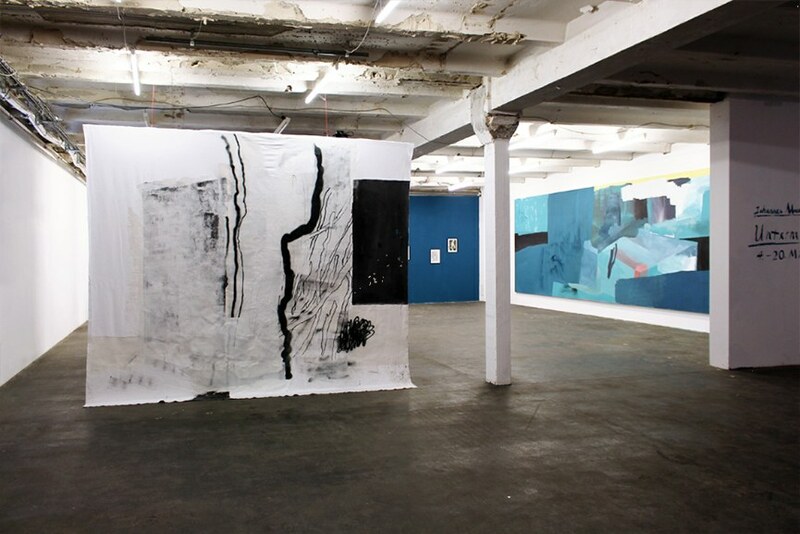 Elements of different visual aesthetics and even techniques are put together in Mundinger’s works. However, they don’t create an inseparable whole really, although the paintings are consistent. 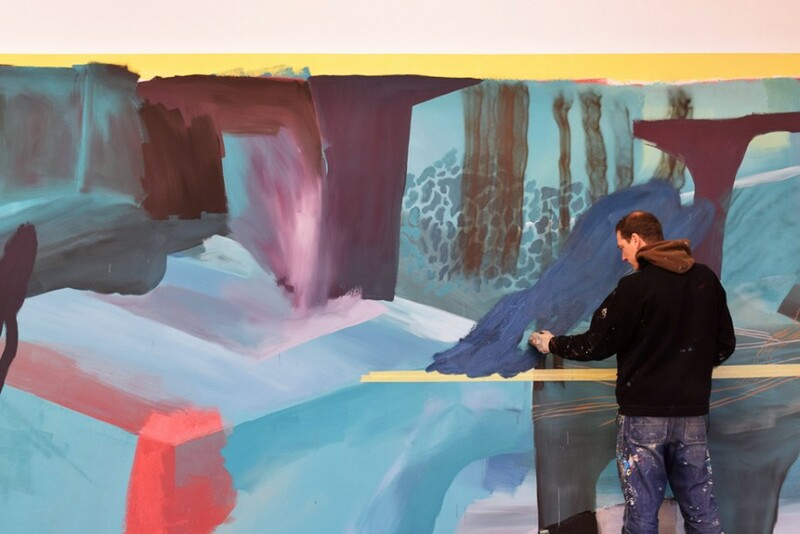 You can easily observe only parts of his paintings, and get the impression of his style, especially since they are usually made in large scale. The enigmatic titles that he gives to his works constitute an image in themselves. Then, the group of visual fragments adds to that first impression. We could say that the way that these elements relate to one another is one of the most crucial points of Mundinger’s work, but to name those relations is not so easy, maybe it is not even possible. Lots of things seem to be there by accident even, however nothing seems to be collateral. How he does it – we don’t know, but perhaps it’s even better to keep it that way, and let Johannes do what he does best. 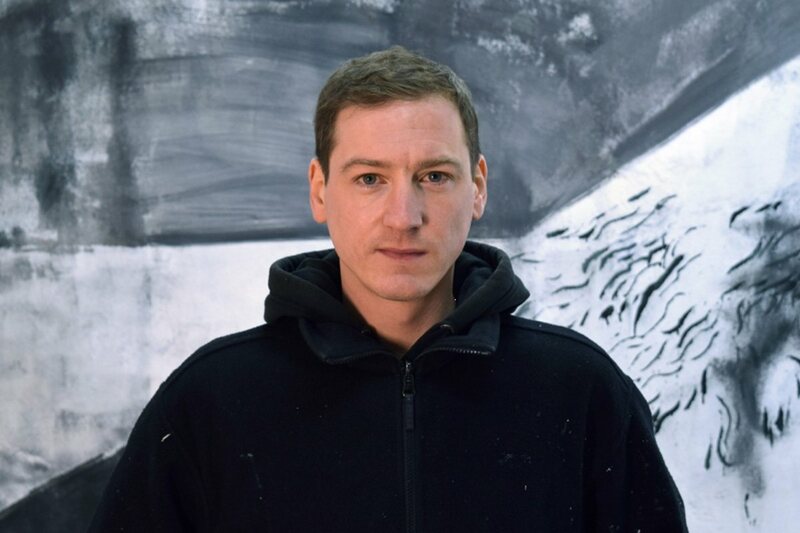 As for his future plans, the artist says that he is looking forward to working outside during summer, and collaborating with other artists, such as Sophia Hirsch for example. 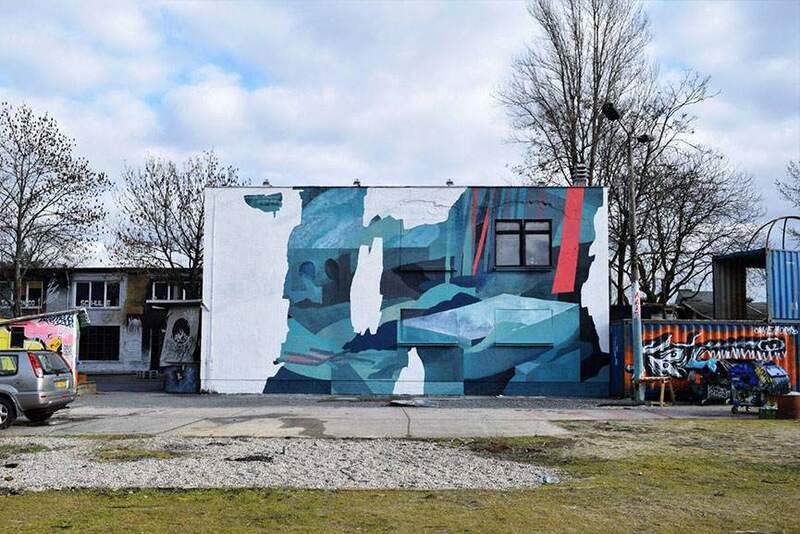 The two are planning on travelling around Europe and making murals together, in Belgrade, Serbia in May, and in a few German cities afterwards. 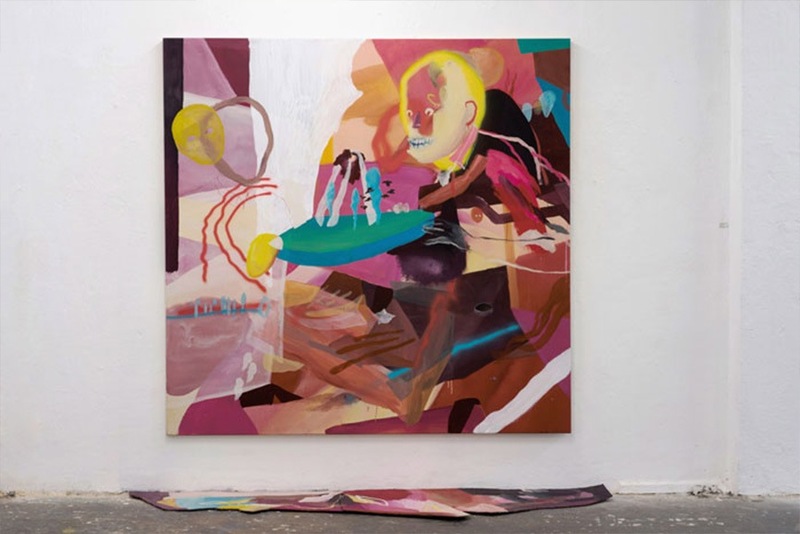 In the meantime, Mundinger will be exhibiting at a few galleries in Berlin, and the first notable exhibition is coming up very soon, in March. 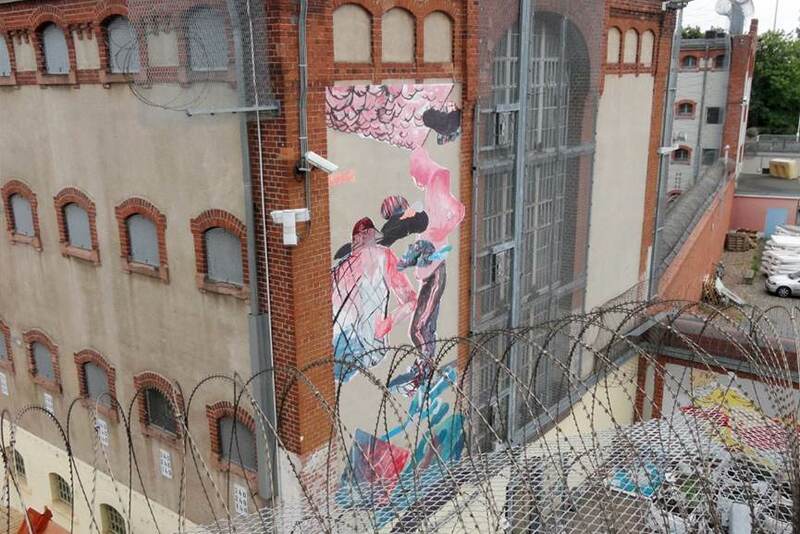 Berliners are now getting a chance to see a solo show by the authentic German street artist, at Urban Spree Galerie, which he is commonly associated with. 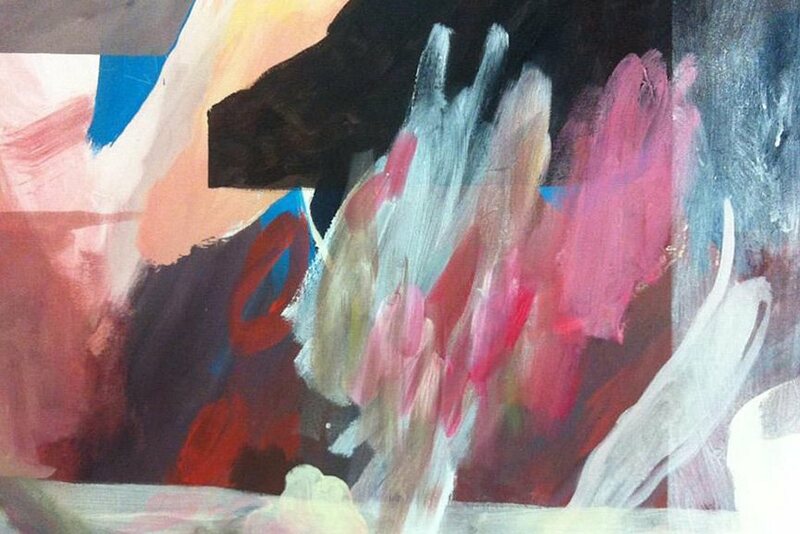 Remarkably dense and colorful paintings show fragments of memories, but there is also something Minimalist about them. One cannot be sure if they are indeed really abstract, or perhaps figurative. 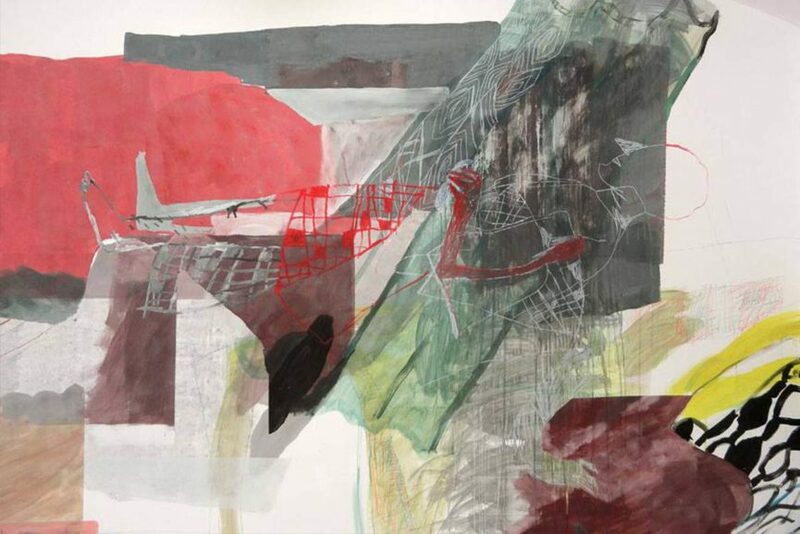 Mundinger experiments with shapes, their correspondence and our possible perception of them. 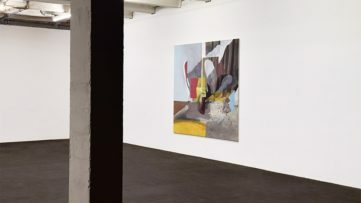 Due to his interest in the gallery space and in street art as well, the exhibition features works that are placed inside the gallery and outside, on one of its walls. 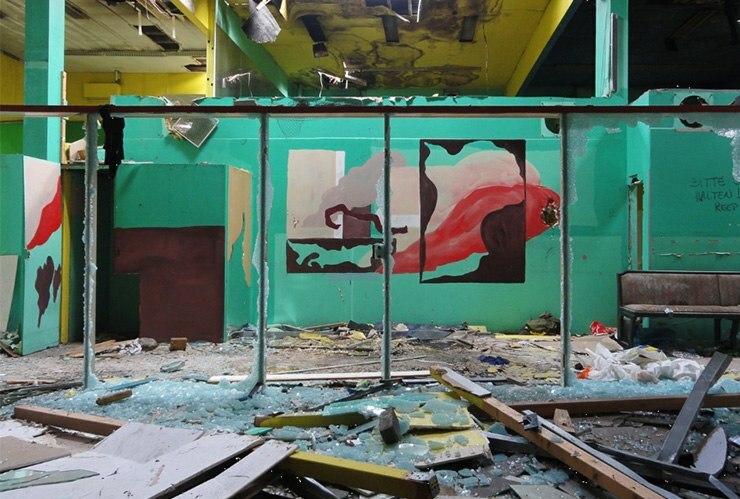 Mundinger achieved such pure visual harmony in the composition of his mural – looking at it, is almost soothing, like looking at a renaissance painting (even though there are no real figures or characters, whatsoever). 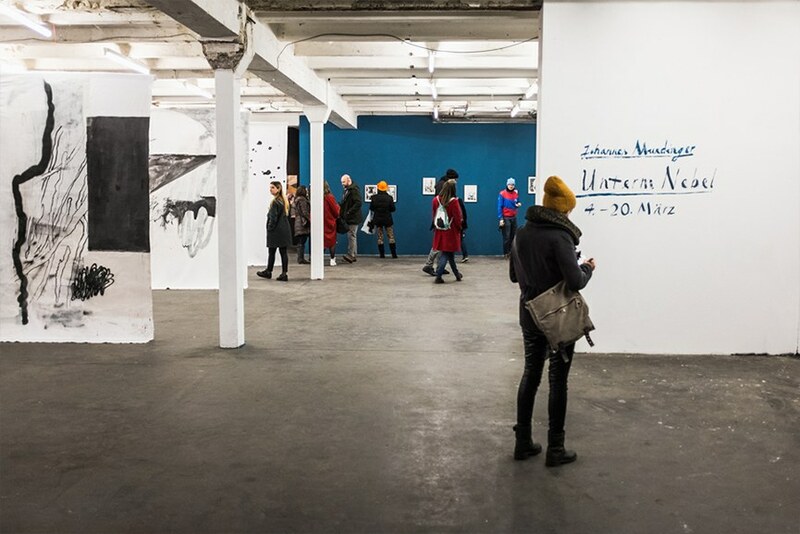 The exhibition will be on view from March 4th through 20th, at Urban Spree Galerie, Berlin. 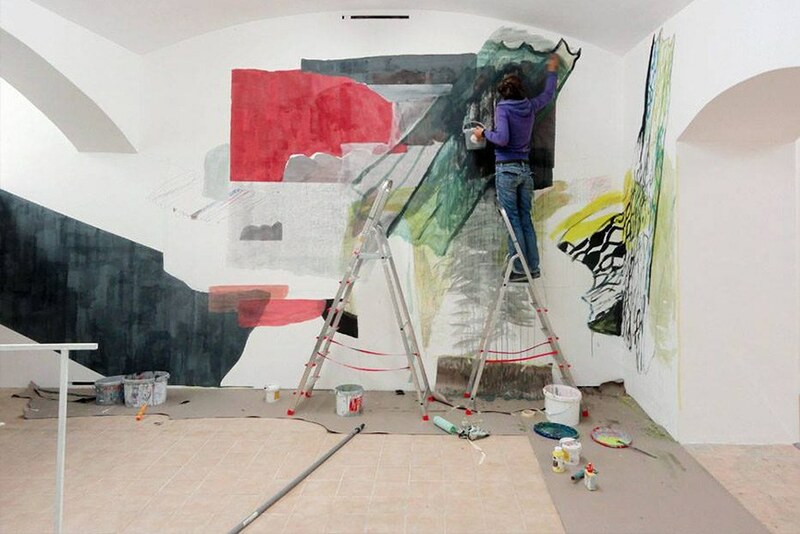 Featured images: Johannes Mundinger – Portrait; Johannes Mundinger, mural in Berlin; Johannes Mundinger – Siehe unten (See Below) exhibition, Prague, in collaboration with Sophia Hirsch. All images courtesy of Johannes Mundinger.